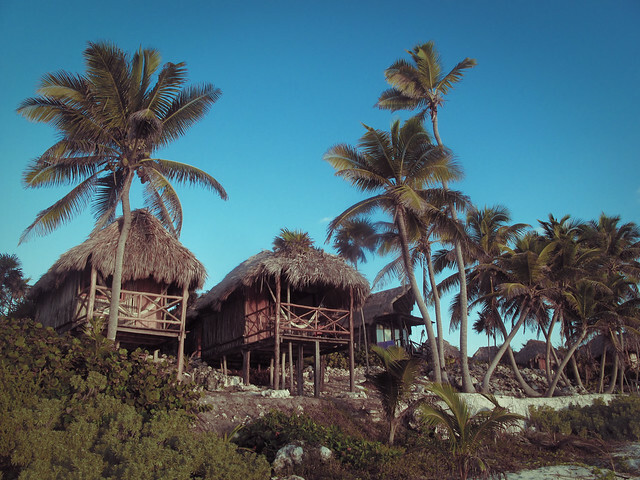 It seems like every where I turn someone is talking, blogging, or taking pictures of Tulum. And since I am in dire need of a beachy vacation, I’ve taken this as a sign that I should go… What’s your favorite vacation spot? my sister has been going there for the past few years and loves it! honeymoon? Adding Tulum to the list of places I’d like to visit! xo. Erica, is going there in two weeks. I would LOVE to go, I’ve been talking about mexico for a while now. I AM going next spring, and that’s final. I was there a couple of years ago in December and it was so quiet and tranquil–almost a ghost town! It has been getting a lot of buzz lately so I’m not sure how much it’s changed. I think part of its allure is the tranquility. And staying in a beach hut of course. If you plan to go, stay at the huts further down along the coast if you want “remote”, quieter areas. That is bizarre — I have been thinking about a trip to Tulum when I am living in the US again! Weird, because I picked it kind of randomly, but it HAS been all over the place! These photos make me want to go EVEN MORE!